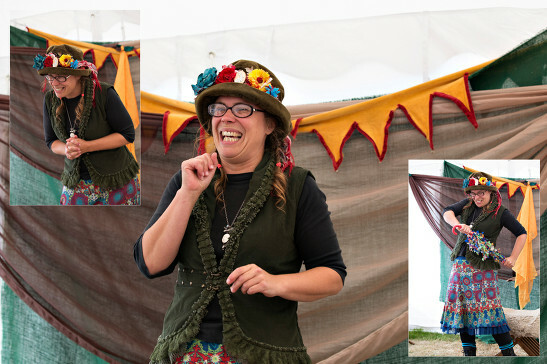 Over the past couple of months I have been working with a fantastic Storyteller from Norwich: Su Squire. She tells stories that are both funny and capture your heart whether she is telling as Tilly the Tale Spinner or as her saucy alter ego Suki Silver Tongue. But for this project Su is telling as herself and it is a deep, healing story of loss and grief and how this can impact each of us and change us. 'The Fool, the Weaver and the Heart of the Labyrinth' has already been told at storytelling events, but his time the tale has music and songs with me on guitar and backing vocals. Su had never written songs before, but always willing to branch out and explore new ideas with the help of some guitar accompaniment and mood setting, she has added five songs to the world! These will be performed as part of the piece this Saturday 11th June 7pm at Anteros Arts Foundation in Norwich. Come and hear the tale and be lulled not only by Su Squires telling, but her wonderful songs too. We'd love to see you there.